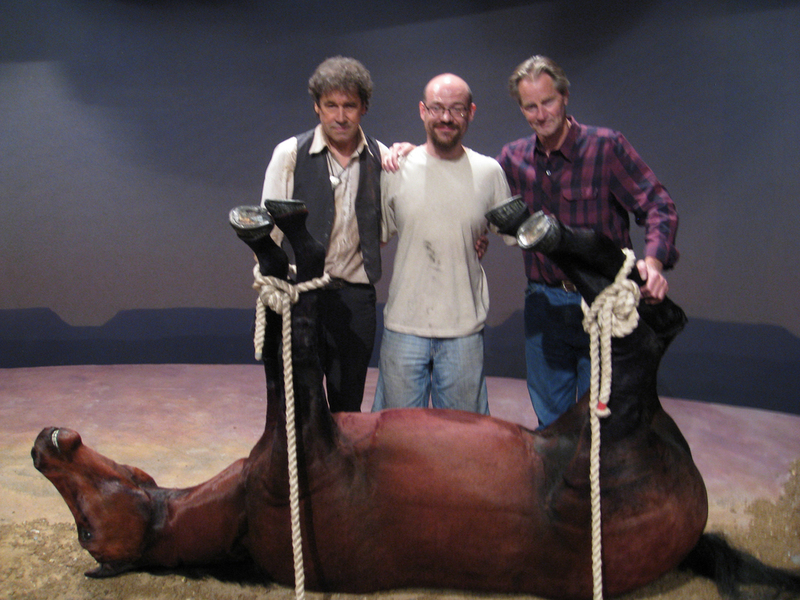 Seán McArdle with Stephen Rea and Sam Shepard on the set of Kicking a Dead Horse, Public Theater, NYC 2008. Seán McArdle started Hero Props in New York City in 2008 after spending seven years as the Prop Master at the Public Theater/New York Shakespeare Festival. In 2010 he moved the company to Minnesota. From his secret Hero Props lair in Northeast Minneapolis, Seán designs and builds props, special effects, and displays for clients all over the US and a few places in Europe. Seán earned his MFA in Prop Design and Management from the University of Illinois Champaign/Urbana, under the tutelage of Jim Guy, currently the Prop Master of the Milwaukee Repertory Theater and President of S*P*A*M, the Society of Properties Artisan Managers, of which Seán is an active member. He also volunteers with the Sustainability in Theater initiative organized via the Minnesota Theater Alliance. Seán with the tech staff of the Abbey Theatre, opening night of Ages of the Moon, Dublin, Ireland, 2011. Seán with Robin Williams on the set of Bengal Tiger at the Baghdad Zoo, NYC, 2011. Mermaid Parade at Coney Island, 2008. Lucasfilm Offices, San Francisco, 2010.